Hotel Gaviota Villa Cayo Saetia is a true hideaway resort. Located on Nipe Bay, the biggest in Cuba, this is an enticing paradise for visitors because of its virgin beaches and its exotic flora and fauna. Cayo Saetia spreads over 42 km., is heavily forested (65 % of its area) and possesses 12 little beaches famous for its fine sand, crystal-clear waters and brown rock formations (unique to this place). It is considered the largest nature reserve of the country, with a large and wide variety of animals: wild boars, buffaloes, ostriches, peacocks, zebras, antelopes, cane rats, wild bulls and many more. Beware of the tiny Sand-Flies on the beaches. Conceived as a Natural Reserve, Cayo Saetia is kept as a wilderness area, little trodden upon by men. This status has protected its original flora and fauna up to this date. Facilities of the hotel Cayo Saetia include bar, beach grill, shop and very small but delicious Cuban cuisine restaurant (meals can be served on the balcony of your room). Most of the excursions can be booked from the hotel and include snorkelling, boat rides, jeep safaris, horseback riding and many more. 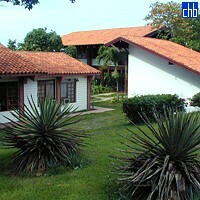 Hotel Gaviota Villa Cayo Saetia is a perfect place for a honeymoon or a peaceful retreat. Standard rooms are spacious and well designed. 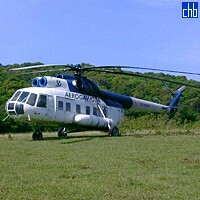 All have private bathrooms, international telephone service, satellite TV, mini-bar and safe.